The 14th IEEE International Conference on Communication Systems (ICCS 2014) was successfully held in Macau, China, from 19-21 November 2014. 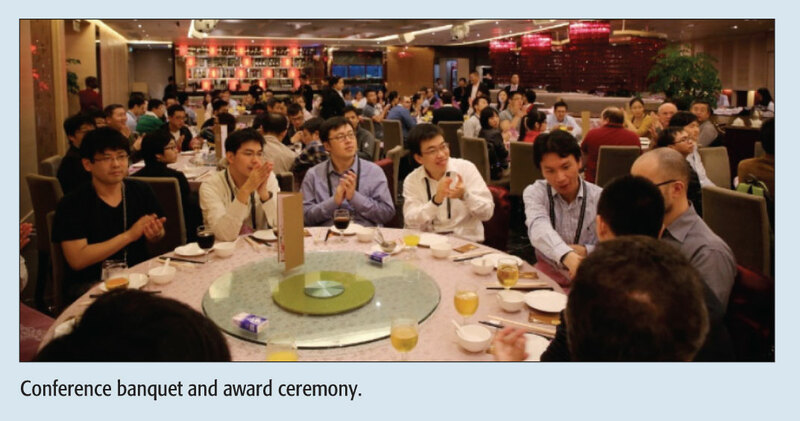 It was co-organized by the IEEE Communications Society Singapore Chapter, the IEEE Vehicular Technology Society Singapore Chapter, and the IEEE Singapore Section, and technically co-sponsored by the IEEE Communications Society and the IEEE Macau Section. Started in Singapore in 1988, the IEEE ICCS has been a biennial conference providing a platform to researchers from both academia and industry to exchange the state-of-the-art communications technologies over two decades. 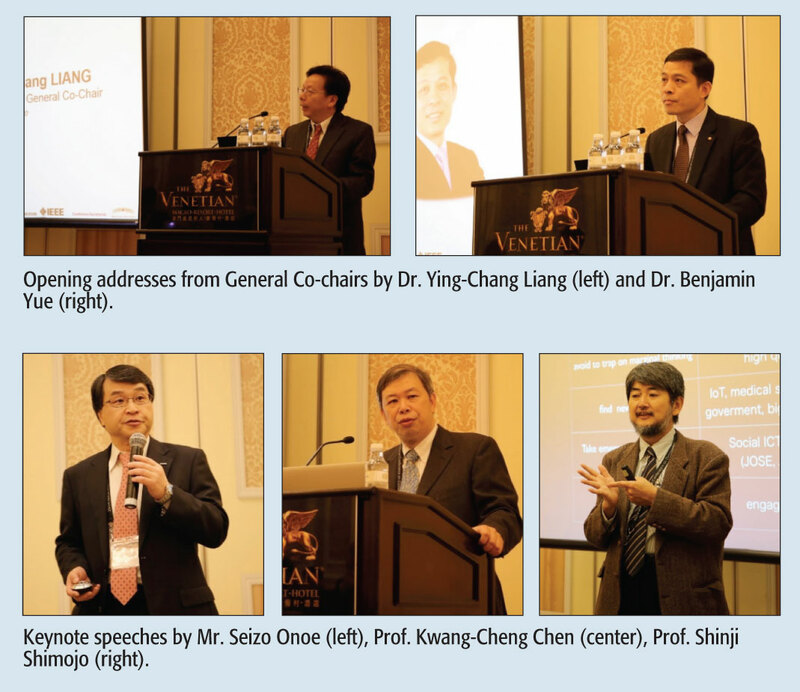 The organizing committee of IEEE ICCS 2014 includes academics and researchers from both Singapore and Macau. The key members consist of General chair, Prof. L. Wong (NUS, Singapore); General co-chairs, Dr. Y.-C. Liang (I2R, Singapore) and Dr. Benjamin Yue (CEM, Macau); TPC chair, Prof. T. J. Lim (NUS,Singapore); and TPC co-chairs, Prof. J. Q. Li (MUST, Macau) and Dr. S. Sun (I2R, Singapore). IEEE ICCS 2014 showcased a technical program consisting of 24 technical sessions, covering many exciting aspects of wireless communications, optical communications, devices, and new emerging technologies. Among the 24 technical sessions, 11 were special sessions, organized by distinguished researchers in their respective areas, on current hot topics in communications and networking, featuring well known speakers sharing their latest discoveries. The topics covered by the special sessions and the regular sessions include machine-to-machine/device-to-device(M2M/D2D) communications, cognitive cellular networks, 5G wireless communications, green wireless communications, signal processing for wireless and optical communications, network economics, cyber security, and so on. A total of 151 submissions to the open call were received from more than 20 countries and territories, with 69 papers accepted after a rigorous and challenging technical review process. Each paper was peer reviewed by at least three independent reviewers. This is the second time that ICCS was held outside Singapore,and it attracted more than 120 participants from the Asia Pacific Region as well as from Europe and North America. IEEE ICCS 2014 was a very successful event, thanks to the active participation and involvement from the authors, TPC members, and attendees, and strong support from colleagues from Macau. The IEEE Communications Society Singapore Chapter and IEEE Vehicular Technology Society Singapore Chapter are nowplanning to host the next IEEE ICCS in November 2016.